North Palm Beach, Florida — Fans and competitors of Jack Nicklaus knew he had very few weaknesses in his legendary, record-setting golf career. There is, however, one weakness he confesses to off the course—ice cream—and now he’s giving into it and sharing it with the public. 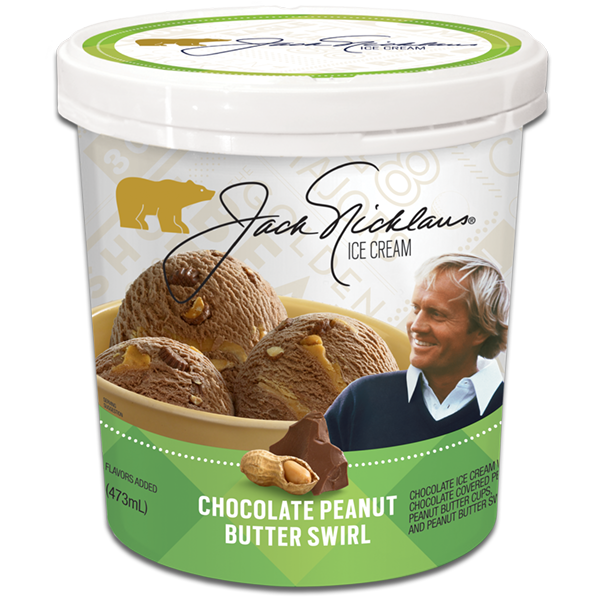 In a partnership between two great family-owned companies, rooted in the Midwest, comes Jack Nicklaus premium ice cream, manufactured by a division of The Schwan Food Company—the 60-year-old Minnesota-based manufacturer and marketer of fine frozen foods and nationally renowned for its home delivery service. Between Jack, his wife, Barbara, and Schwan, there was a detailed collaboration to perfect the line. 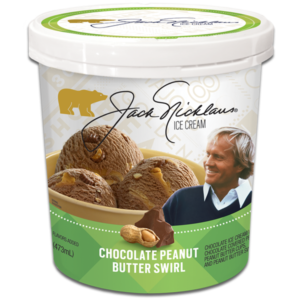 The ice cream introduction extends the Nicklaus Companies’ efforts to celebrate the life and lifestyle of Jack Nicklaus by introducing quality consumer products, with a philanthropic tie-in. Among the Nicklaus-branded or licensed products introduced in recent years that benefit children’s charities are water, wine, lemonade, sunglasses, and golf balls. About Schwan’s Global Supply Chain, Inc.
Schwan’s Global Supply Chain, Inc., is a subsidiary of The Schwan Food Company, a privately held, multibillion-dollar business. The various subsidiaries manufacture, market and sell fine frozen foods through home delivery, retail-grocery and foodservice channels. Its many popular brands include Red Baron®, Tony’s®, and Freschetta® pizza, Mrs. Smith’s® and Edwards® desserts and Schwan’s® fine frozen foods. Headquartered in Marshall, Minnesota, for more than 60 years, the company’s subsidiaries employ about 14,000 people in the United States. To learn more about the subsidiaries of The Schwan Food Company, visit www.TheSchwanFoodCompany.com.